Could there be Love in the Stars this holiday season? 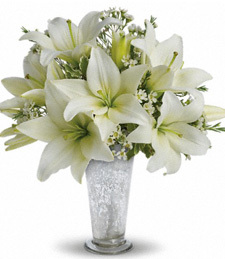 All white luscious blooms signify a time of purity and reflection. Show that special love one your charming side with an all white holiday bouquet to symbolize the time of the season!